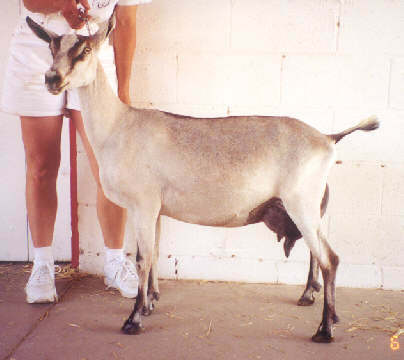 Canada is our only fleda doeling and like her dam she is very beautiful and special. Canada is an angel and loves people. She is very level on the top line. Canada’s not a big doe, like her dam, but a powerful doe. She has an extremely wide escutcheon. 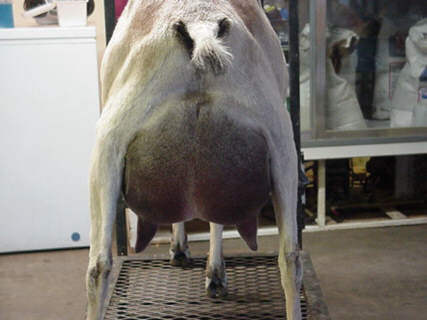 Her fore-udder is smooth with good capacity. Alex has improved the front end, giving Canada a tighter assembly. She tracks very straight and has straight front legs. 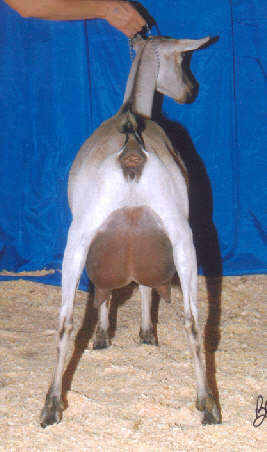 Canada has a deep body and excels in dairy character. 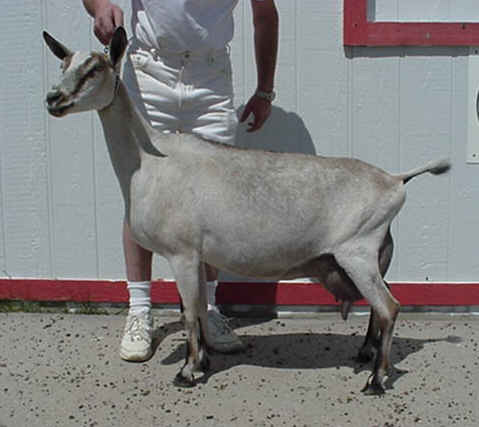 She gets it from her dam giving 4800lbs in 343days and Alex giving us top-ten does. It is fun to see Canada grow better every year.